The Oakland-Rampart Model RS-2448 Rotary Separator is designed to perform automatic operation in the removal of small parts from finishing media or other un-wanted materials. By doing so the need for costly hand separation is greatly reduced. 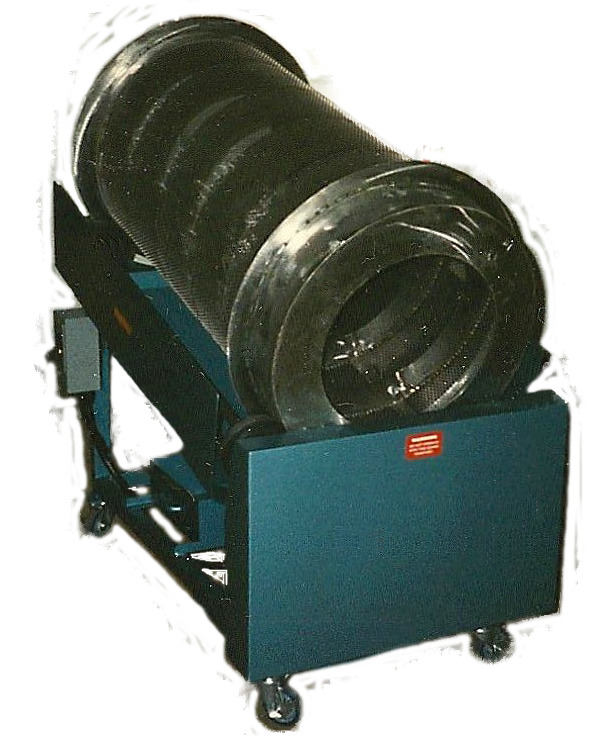 The Rotary separator may be used as a stand-alone unit, or in line with other equipment in your finishing department. 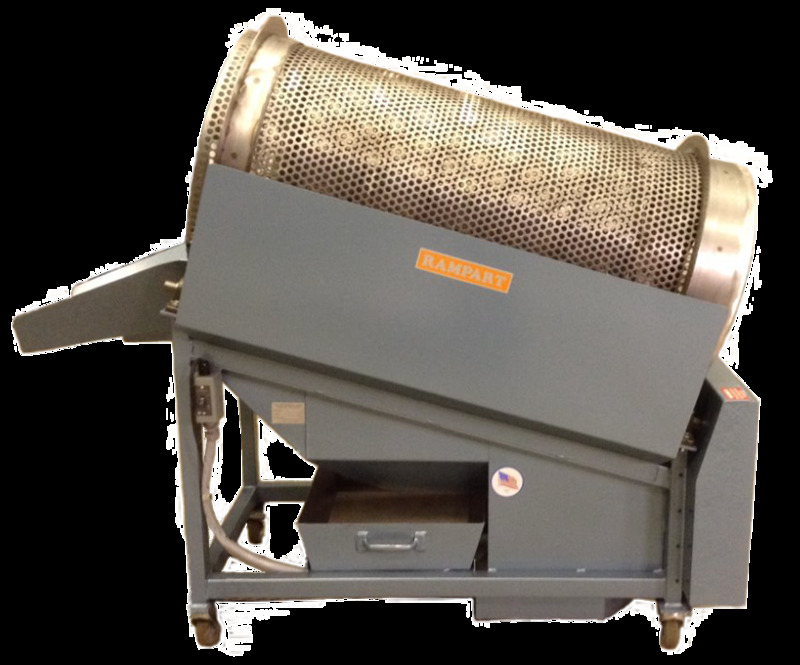 The Rotary Separator input receives the materials, to be separated, into a perforated or woven wire drum that rotates utilizing an auger assembly to advance the materials on an uphill grade to expose all materials to the separation surface. The Oakland-Rampart Model RS-2448 Rotary Separator is a very versatile machine designed to separate small parts as a portable batch-processing unit, with the use of optional casters, or in a fixed position for in-line processing. The SB-2448 Separator Barrel is 24” in diameter by 24” long with an outer shell of perforations or woven wire openings. An internal auger is utilized to move materials from the input end to the output of the barrel. The standard machine drive produces a fixed speed of 12 R.P.M; an optional variable speed is available.